As we come down to the wire for 2012, the pace of business blunders hasn't slowed. From an ill-timed streaming video outage to the ultimate dot-com oversight, here's our rundown of the biggest corporate missteps -- and a few brilliant moves -- from this week in the world of business. It was a dark Christmas for many Netflix subscribers. From the afternoon of Dec. 24 through Christmas morning, many streaming customers were unable to access the leading video service. Netflix has over 25 million domestic streaming subscribers, making this a pretty big deal. The timing was lousy, especially for families that were planning on streaming "The Polar Express," "National Lampoon's Christmas Vacation," or any of the many holiday favorites that are available in Netflix's digital vault. One thing that makes this really embarrassing is that Amazon.com (AMZN) -- Netflix's biggest rival in the world of online video buffets -- is the company that runs the cloud-based hosting service that is being blamed for the shortcoming. Yes, it's a coincidence, though conspiracy theorists will have plenty to tackle when they learn that Amazon's own video streaming platform held up just fine. Hoping to make a splash, SeaWorld Entertainment filed a preliminary IPO prospectus with the SEC, paving the way for the theme park operator to go public at some point in 2013. It's a smart time to go public for the subsidiary, which is currently owned by private-equity fund giant Blackstone Group (BX). Fellow amusement park operator Six Flags (SIX) hit a fresh 52-week high earlier this month, and Cedar Fair (FUN) hit a multiyear high just last month. Beyond its namesake marine parks, SeaWorld owns and operates Busch Gardens, Aquatica, Sesame Place, and Discovery Cove. SeaWorld is currently profitable, and the park operator rang up $1.16 billion in revenue through the first nine months of this year. If and when SeaWorld completes its IPO, it will trade under the ticker symbol "SEAS." FreshDirect -- an online grocer that delivers through select Northeastern cities -- had its website taken down on Tuesday and Wednesday because it forgot to renew its FreshDirect.com domain name. The issue was ultimately resolved, but not before dealing with the embarrassment of having customers arrive at its domain name on Christmas only to be redirected to a page warning that the dot-com address had yet to be renewed. FreshDirect is a privately-held company that reportedly takes in roughly $400 million a year in sales. Neglecting to renew a domain name can happen to any company, but it really shouldn't happen to a Web-savvy one. It's never easy when a company executive leaves, but when you burn through two CFOs in the span of less than two months, investors start to get worried. Shares of Medifast took a hit on Wednesday after the company revealed that acting CFO Edward Powers would be leaving the company. He was appointed in November, having served as the company's controller since last year. He lasted for less than six weeks as acting CFO. The leading online retailer is keeping its customers happy. For the eighth consecutive year, Amazon ranked as the top site in ForeSee's customer satisfaction survey. Every year, the marketing research company asks tens of thousands of online shoppers about their experiences between Thanksgiving and Christmas. High customer satisfaction naturally translates into sales, and that's exactly what happened at Amazon. The e-tailer announced on Thursday morning that it sold a record 26.5 million items worldwide on its busiest day this season. 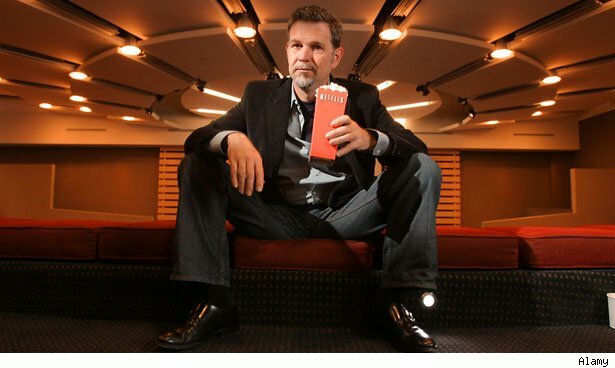 Longtime Motley Fool contributor Rick Aristotle Munarriz owns shares of Netflix. The Motley Fool owns shares of Amazon.com and Netflix. Motley Fool newsletter services recommend Amazon.com and Netflix.